Might as well Make Them Jealous when you walk in with this killer skirt, and your whole entourage following along behind you. No apologies. You are the diva today. 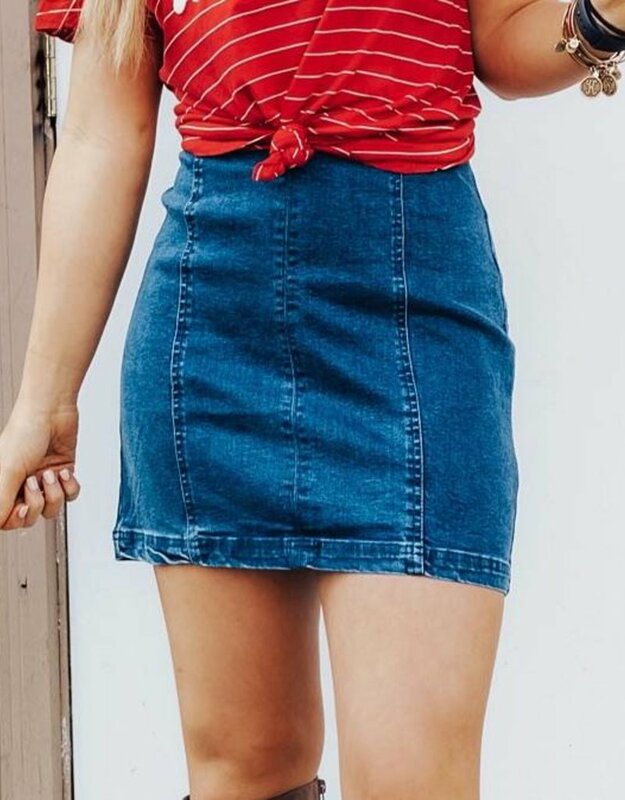 Denim skirt features a back zipper, side seam detail.